Zero Two really likes that honey. Better yet, she likes to share it with her Darling. Kokoro and Futoshi tried out the hand feeding trick. The very stable couple appears to enjoy it. 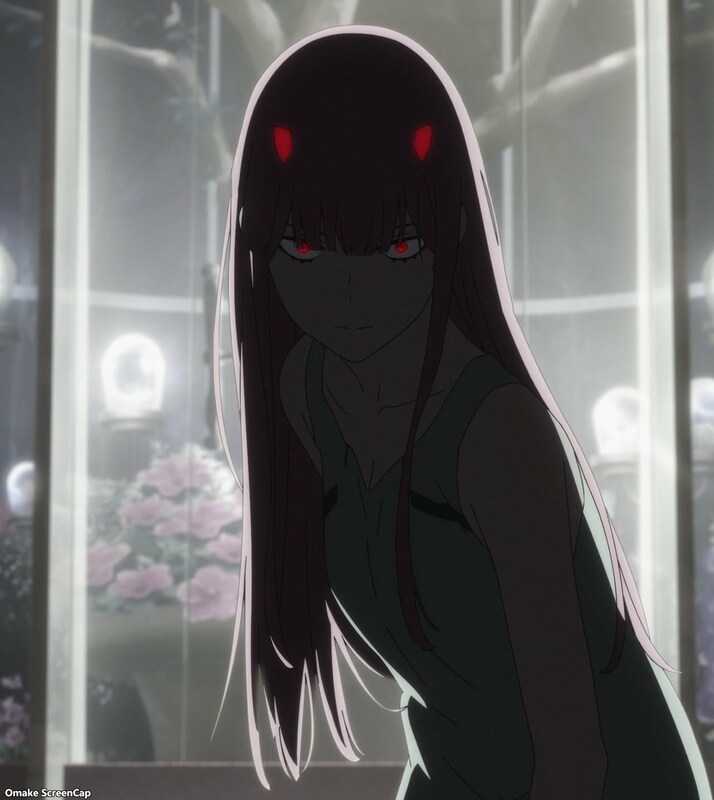 Zero Two's invasion of the Parasite dorm gave us a glimpse of how the boys and girls have their separate facilities and gender segregated customs, like separate dining tables and such. Zero Two and Ichigo had to have love rivals' argument. There's a bit more tension attached when one of the party has superhuman abilities. Zero Two approves of Hiro's reckless disregard of his health, as long as he can ride with her.